BMW is readying a go-faster X3 M - a mid-sized SUV fettled by Munich's M division. The new X3 M is set for launch as early as 2012, according to well placed BMW sources contacted by CAR. Purists may want to look away now. But with the exception of the frumpy X1, all X model lines in future will be available with the full M division treatment, CAR understands. We've already seen the X5 M and X6 M - stonking high-performance SUVs powered by twin-turbo V8s - but now the M treatment is stretching down to the smaller X3 range, BMW's popular 4x4 line which is currently sold out in the UK until February 2012. CAR understands the all-new X3 M will be powered by a tweaked variant of the new M3 straight six which will power the next-generation BMW M3 (we'll see the new 3-series in late 2011, with UK sales kicking off in 2012). 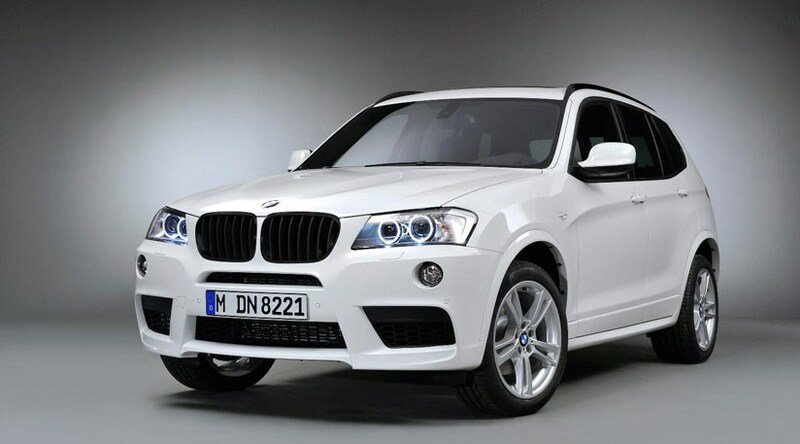 How quick will the new 2012 BMW X3 M be? This will be no shrinking violet. Provisionally rated at 449bhp, the high-performance straight six may even feature three turbochargers (one electric, plus a pair of exhaust-gas driven ones) and a slightly bigger displacement (3.2 instead of 3.0 litres). We expect the new X3 M to cost around £50,000, slotting above the current range-topping X3 30d M Sport at £39,625. The next X5M and X6M retain the twin-turbo 4.4-litre V8 which goes up in performance from 555 to 564bhp. Even more significant is the 10-15% gain in efficiency.